Will Voters of Color Take Advantage of Their New Influence In Congress? There are certainly plenty of reasons for America to celebrate the beginning of 2013. First, January is the month we recognize Martin Luther King Jr’s Birthday. Second, January represents a time in American history when President Abraham Lincoln issued the Emancipation Proclamation. And finally next month we will witness the second inauguration of the nation’s first African American President. This inauguration reminds us that in order to realize our dreams, we have to participate! A few weeks ago voters of color (VOC) joined other Americans to decide how the government will address the most pressing issues of our times. As the result of dramatic demographic changes, voters of color made the difference in many areas around the country—electing candidates to office who now have the political support to embrace progressive policies. These voters have become the leverage elected officials need to keep campaign promises and support an agenda that will have a far reaching impact on this nation. In short, the next four years is about more than just a mandate. It is about who voted and the role they are going to play in politics. Much like the Tea Party in 2010, the new coalition of progressive whites, Latinos, African Americans, Asians, Native Americans, women, youth and unions are poised to change the way America invests in the economy, extracts and repurposes revenue, and ensures that the government continues to expand democracy to everyone living in America. Also, the 113th Congress will have over 18 new members of color joining other progressive Congress members to shape our legislative process. They’re coming from states with significant VOC populations like California, Florida, Hawaii, Illinois, New Jersey, New Mexico, Nevada, Ohio, and Texas. Moreover, the President has the bully pulpit. Just like in the 2012 campaign, the new coalition of progressive voters makes it possible to expand the political map at critical points in the legislative cycle. For example, President Obama’s support in California, Colorado, Florida, Nevada, and New Mexico will be a legislative firewall during the immigration negotiations. Simply put, a party will not survive in this new political landscape if it loses favorability from VOC by a 3 to 1 margin. In the end, we have to remind ourselves that all politics are local. Any party that had success reaching unique pockets of voters during the 2012 campaign will have an advantage in 2013. They can easily overwhelm the other side by amplifying this new coalition’s influence. All it would take is a combination of traditional civic engagement tactics with 21st century data-driven technology. This strategy of micro-targeting voters by specific issues was used in Ohio and proved to be clutch—it delivered a powerful victory for the progressive coalition. For example, the VOC vote share increased to 19% of the 2012 electorate from 16% in 2008. It’s time to get ready for the New Year, the new Congress, the new coalition of progressive voters and another historic moment. 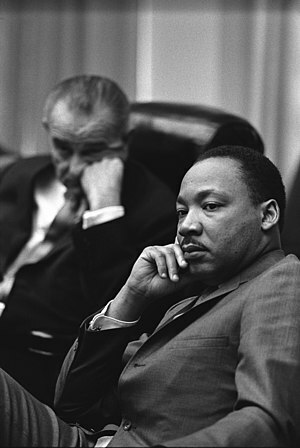 On January 21st America honors Martin Luther King, Jr. as the world witnesses the inauguration of President Obama. It will also be a defining moment for people of color. For the first time since the passage of the Voting Rights Act, their votes had a profound influence on the political landscape of America. We now have a President who has the opportunity to govern with a more forward set of strategies. This makes it easier for us to support the policies we believe in. That’s popping the clutch.